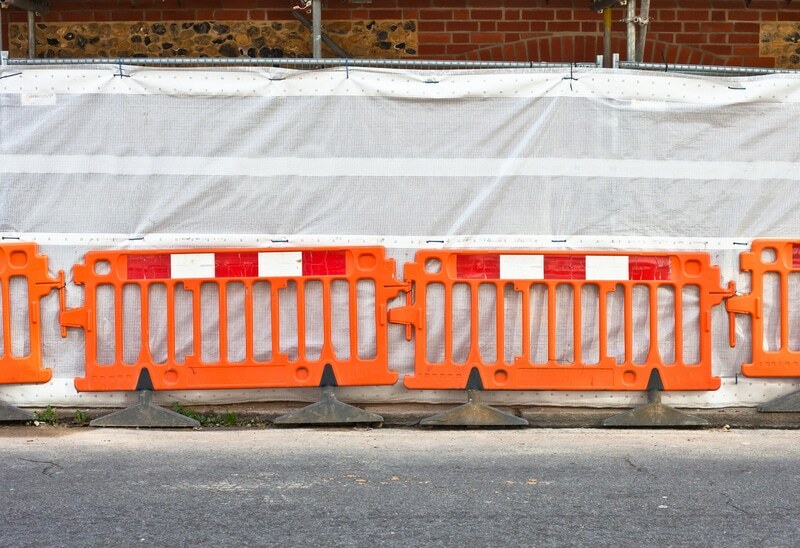 Whether you are dealing with a temporary traffic hazard, or with roadworks, groundwork, construction or repair work, or if for any other reason you simply need a highly-visible safety barrier to protect pedestrians, plastic pedestrian fencing is the ideal answer. Taking risks in such situations is not an option. Not only is it probably illegal, it can be highly dangerous and potentially very costly. So minimising such hazards is an absolute must. And there is no need to take chances, for a wide range of temporary plastic barriers for site security and roadside protection is readily available and affordable. The barriers on offer cover just about every type of situation. Wherever pedestrian safety barriers are needed, you can be sure that one is available that is just right for the job. Plastic safety barriers have the advantage of being weatherproof and robust, yet light and easily portable. And hiring plastic pedestrian barriers is easy and inexpensive. Pedestrian safety barriers are the safest, most effective and versatile way of separating, redirecting or controlling the movement of traffic and pedestrians. They are the ideal way of protecting pedestrians from moving vehicles and all kinds of other hazards. Plastic pedestrian barriers provide a reliable, highly-visible answer to all such problems. Plastic pedestrian barriers are also ideal for controlling the movement of large numbers of people at big gatherings such as agricultural shows, outdoor concerts and similar events. In fact, the wide variety of pedestrian safety barriers now available has an equally wide variety of uses. Although a wide choice of plastic pedestrian fencing is readily available on the market, there is no need to go to the expense of buying it. It often makes far more sense to opt for short-term or even long-term temporary hire. Pedestrian safety barrier hire gives you the flexibility to choose exactly the type of safety fencing that is best suited to your needs. You also, of course, save considerably on transport and storage, which these days can be pretty costly. At Lakeside hire we will guarantee to deliver to you at short notice, and at really competitive rates, the ideal plastic safety barrier for your situation, clean and in tip-top condition and ready to use. Whether the need is for temporary, short-term or long-term pedestrian safety barriers, hiring the right fencing is easy and affordable and just a phone call away.